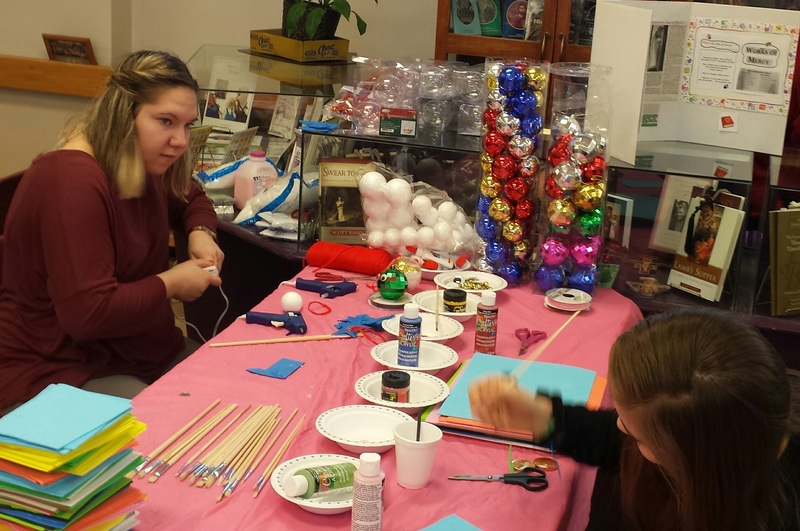 Annual ST. NICK’S Christmas Decoration Workshop! Lunch Provided. Concert. Activities. Supplies Provided! H.E.Y.! – Holy Eucharist Youth would like to thank Mr. & Mrs. Baranyk – Pratt’s Wholesale for the generous donation towards the Halloween Party for the Parish. We are so lucky that they are always so kind to us! Our culture practically swims in a sea of franchises — young adult ones, especially. And while The Hunger Games is just one of those, its final installment, Mockingjay: Part 2, reminds us why it was even popular in the first place. It’s both ironic and encouraging that our culture got so caught up in The Hunger Games. When you actually look at it, it’s a grim story. It does have entertaining moments, but The Hunger Games is not about that. It’s not about romance. It’s not about action. It’s not about Jennifer Lawrence. It’s about us. It’s about who we are. It’s about where we could head as a society. The films picks up where Part 1 left off. Peeta’s suffering from major PTSD, and Panem’s rebellion is in full swing. The 13 Districts are still not fully united, and Katniss works as the rebellion’s figurehead to unite them and stir their hearts to bring an end to the unjust reign of President Snow, who rules with a twisted heart of stone. The film definitely did not have as much emotional depth as the book — which was both good and bad, actually. Parts of the book felt overwhelmingly depressing, which they stayed away from here. But in the end, the realistic emotional aftermath of experiencing Panem’s rebellion fell a little flat. Also, the mutt scene felt sloppy, and Gale still feels like he was just stuck into the movies as a half-hearted attempt at a love triangle. War is never pretty, and the movie doesn’t hide that. The acting ensemble’s game is strong. There is incredible acting in particular from Josh and Jennifer, as usual. Where it could so easily be drowned by CGI battle carnage, the film remains true to its core, keeping the real strength of the story — the heart — always as its focus. Like the culture in the story, ours is also saturated with media and propaganda. It’s hard for us to know what’s “real” and “not real,” like the character Peeta says. We live for entertainment, just like the people of the Capitol. And ironically, like the Capitol, we are entertained by this story, when we should be seeing the message for what it really is. The entertainment that the Capitol enjoys is dangerous: It makes sport of human life. (Reality TV, anyone?) But the ultimate point of the entire story is that life is sacred. And the story speaks in extremes to make this point. Deep down at our core, we know that life is sacred. Despite wars, despite racism, despite the disregard for the elderly and the unborn, we all know it. That’s the heart of this story, which was never lost in the films — and it encourages me that this message is being seen by millions of people. At one point in the film, Katniss says that death, even in war, “is always personal.” We shouldn’t ever be numb to death, and taking a human life, whatever the circumstance, is always serious. The Hunger Games forces us to wrestle with lots of questions. Among them are these: “When is killing ever okay?” and “Which lives are most important?” With our own society’s suffering at the hands of terrorism and our current refugee crisis, the film gives us no easy answer. At the end of the day, decisions are made, but never without cost when it comes to human lives. The Catechism of the Catholic Church addresses this question of when war and killing is just for us, fortunately. This series, both the films and books, are violent. But the film shows violence for what it is. The film treats it in a way that emphasizes the sacredness of human life; violence is never glorified. And not all of the characters’ choices to engage in it are good ones. The point that violence and revenge feeds more violence and revenge is always clear. But like in all great stories, we find hope in this one — that while we may not make it out of the battle for goodness in our world unscathed, it’s a battle always worth fighting for. 2015 Pastoral Letter to Youth! The Holy Eucharist Youth organized a Perogy Supper in the church auditorium followed by a special Way of the Cross that was organized and led by HEY! 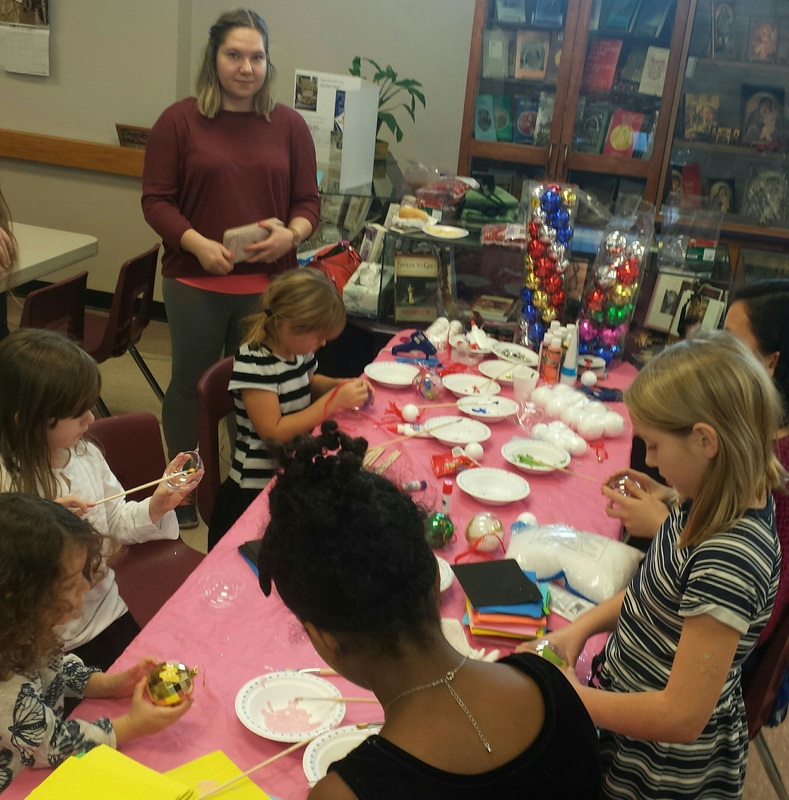 and the Catechism Program and Girls of Mary. The atmosphere was so uplifting that no one wanted to leave the supper or the church after the “Stations” of the Cross.